Cinderella arrives in triumph at the ball—or, rather, at the British Museum. Of the three great collections of Islamic art in the West, the museum has always been the dowdy sister in the shadows. The Louvre in Paris and the Metropolitan Museum of Art in New York did not appear much better for some time—I remember seeing the Bassin de Saint Louis, actually a magnificent piece of Islamic metalwork, hidden in semi-darkness under a Louvre staircase—but in recent years both have received resplendent makeovers. 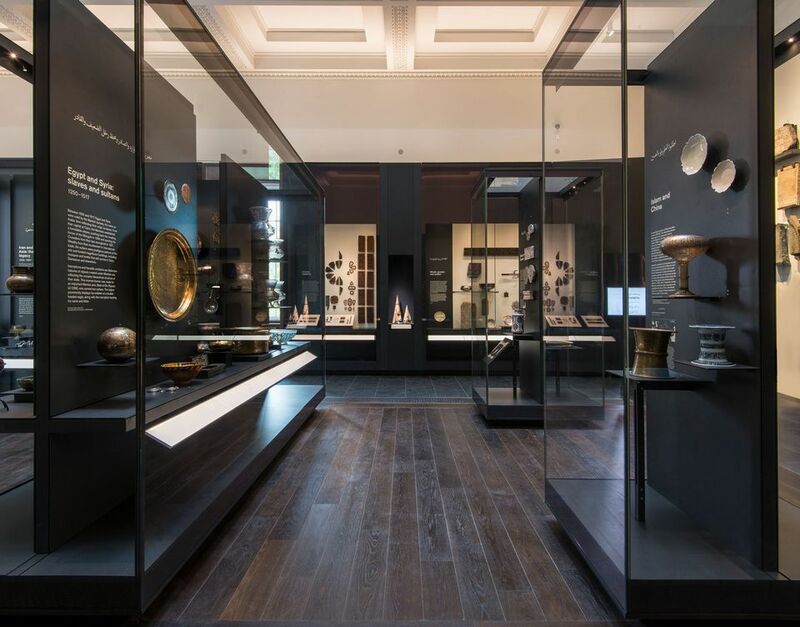 However, thanks largely to London’s Great Exhibition of 1851, which emphasised a distinction between the “applied arts” and “fine arts”, much great Islamic work in the way of carpets and ceramics has been relegated to the former category and went to the Victoria and Albert Museum. So, with pictures and sculpture going to the National Gallery, the British Museum was left mainly with bits of archaeological excavations and travellers’ bric-a-brac. Gradually, the Islamic collection acquired purchase funds and some fine pieces, but it was squashed into a couple of small rooms at the back of the building and it has taken until now for Cinderella’s prince to come along, in the form of the Malaysian Albukhary Foundation. The new project has not only rehoused the collection but restored two Victorian galleries (“halls” would be more appropriate) to their original magnificence. This has given space to retrieve treasures from storage and to commission new work, allowing the arrangement to run from the sixth-century era of the Prophet to the contemporary world. The result is a glowing display of objects that are not only historical but range from the splendid to the ordinary—from the grand jade cup of a Mughal ruler to shadow-puppets for a coffee-house theatre. The cases are bathed in light filtering through overhead panels and through windows covered with carved and pierced walnut screens by the artist Ahmad Angawi, the inspiration being an inheritance from the classic Arabic tradition of “mashrabiyya” screening. Modern technical lighting skills have ensured that fragile paper and textile objects can be safely displayed in the new settings, and one should mention particularly the costumes that have emerged like butterflies from conservation: brilliantly coloured garments of every shade. They include a Jewish bride’s wedding dress from Baghdad, a reminder of the multicultural nature of Muslim-ruled cities. To those who are not used to exhibitions of Islamic art, I would recommend that they take an "immersive" approach and simply enjoy the experience, rather than, as with Western exhibitions, moving solemnly from one exhibit to the next. The labelling will prove an effective guide to Islamic history. In the second gallery we see the triumph of the luxury-loving aspect of Islamic culture as the great empires appear under the Ottomans of Turkey, the Safavids of Iran and the Moghuls in India, and we have the rise, too, of the long-term consequences of the succession struggles following the Prophet’s death. One faction is represented by the Iranian Shiite followers of Ali, the Prophet’s son-in-law, and the second principally by the Sunni Ottoman Turks and their invaded territories of Syria and Egypt. The bold primary colours of Ottoman ceramics form an aesthetic that is quite distinct from the delicate shades of Iranian painting on cups and bowls and in manuscripts, where graceful figures lounge in pastel robes. The visitor may find some preconceptions overturned. We can trace representations of human and animal life over centuries—evidence that the claim that Islamic art does not allow figural representation is ill-founded. Human and animal forms abound, extending in the case of Persian art to portraiture of individuals, although Muslim artists never adopted the rounded and shadowed life-forms of the West, perhaps because they might come too close to that realism which could be construed as a challenge to the Almighty. Abstract arabesque and geometric forms are always predominant in religious contexts and are most apparent generally in the more severe Sunni realms of the Mamluks and the Gulf, though I do not agree with the display suggesting that they are part of the same aesthetic: one is free and open, the other closed and rigid. Another correction of our cultural compasses is that of our attitudes to the Mongols, usually pictured as brutality incarnate from generation to generation. But they encountered the technology and skills of Islam with astonishing results. In the 13th century, Genghis Khan’s grandson, Hulagu, established an observatory under Persian direction at Maragha in Iran; a celestial globe was made for it in 1275-76 by a metalworker from Iran who created a cosmos of brass inlaid with silver. Celestial globes were infinitely complex achievements that mapped the positions of stars and constellations on to a sphere: one must refrain from any unseemly comparisons with Western “science” at this date. The broad range of this exhibition covers most aspects of Islamic culture, but I would have liked rather more emphasis on religion, a guiding force almost always in the background, and, paradoxically in the face of the genuine Muslim desire for peace (the West is traditionally known as “dar al harb”, the “House of War”) on the warfare Islam has had to wage from the start, when the fledgling religion was struggling for its existence. We need to understand this strain, sometimes seeming to merge on paranoia, in the Islamic world, where the sword smith has always been a very significant figure. However, this is a remarkably inclusive arrangement. It works excellently as a foundation gallery where the visitor will find an entry point to almost all aspects of the huge chronological and geographical range of the Muslim world. It is the third great display that the museum has achieved under the aegis of two curators, Ladan Akbarnia and Venetia Porter. Porter was responsible in 2006 for Word into Art, which for many was a revelation of modern work from the Middle East, and in 2012 for the Hajj exhibition built around the annual pilgrimage to Mecca. This brought in young Muslim visitors, many of whom probably felt that a British Museum would have little to offer them and were delighted to discover how it could relate to their own lives. Those shows were temporary exhibitions. 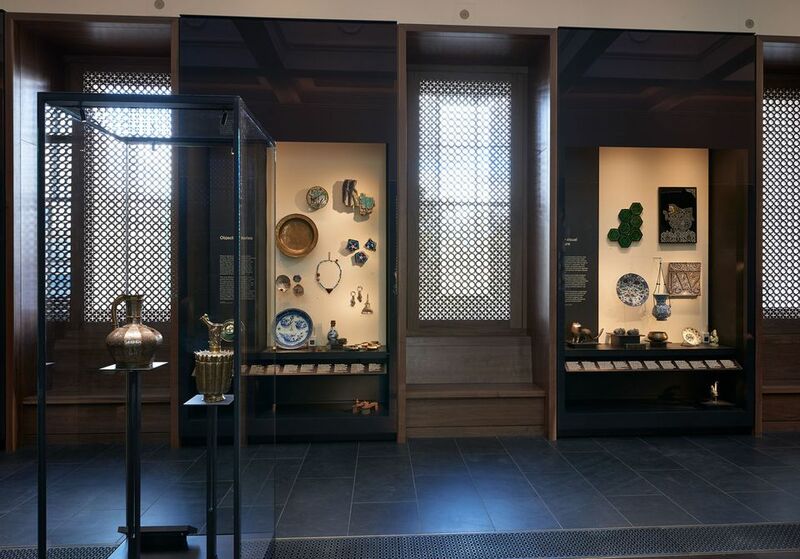 Now the Islamic permanent collection has come into its own and I would urge visitors—Muslims and those of other religions—to see it and enjoy the great delight of returning to it whenever they choose.